The electric motor is an electrotechnical machine that converts electrical energy into mechanical energy. That is, when the electric motor is connected to the proper power source, it begins to rotate, which also begins to rotate the machine or the machine associated with it. That is, it works inversely to the electric generator, which produces electrical energy with mechanical energy. The electric motor was made possible thanks to the discoveries of Franz Ernst Neumann and James Clerk Maxwell. His discoveries were published in the years 1841 and 1873. Electric motors of alternating current. The electric DC motor can be, in turn, a permanent induction motor or a continuous induction motor. On the other hand, the alternating current motor can be classified as universal motor, synchronous motor or asynchronous motor. In addition to these more general classifications there are also other more modern types of engines such as stepper motors and linear motors. How does an electric engine work? 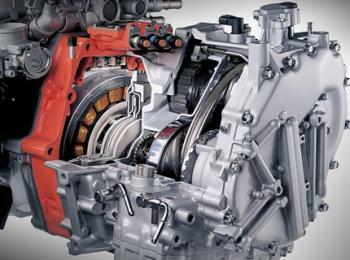 The operation of an electric motor varies according to the type of motor they are part of. The casing or crankcase, which has a fixing system to the bench or chassis. In the crankcase there is a set called stator or inductor that is formed by a support of plates and magnets or electromagnets. The rotor, which is formed by a core of plates on an axis that supports everything. The shaft is surrounded by a series of windings that are connected to the collector's deltas. Through the deltas of the collector the electric current is received. All this is supported by the bearings at the ends of the crankcase. On the side of the shaft is the pulley. The pulley is a toothed crown or coupling that transmits the mechanical energy to be used. When the current is passed through the brushes to the collector, an electric current is passed through the coil conductors, which by the rule of the left hand (remember that they are submerged in the field of the stator), creates a lateral force, and the sum of all of them gives us the torque that turns the rotor or motor assembly. Through the collector, current is given to the appropriate coils so that this pair is as strong as possible. They are the motors that are in devices that are moved by batteries or batteries. It is the same as the motor with permanent induction, but in this case what produces the field are coils that work like an electromagnet, and are connected to the rotor in series or parallel. This motor also works with single-phase alternating current. The most common example are the motors of normal household appliances. In an asynchronous motor, there are three groups of windings in the stator. These windings correspond to the three phases of the commercial alternating current, and the rotor instead of the collector, has three rings, which are connected to the windings of the rotor. This type of electric motor works by the same principle, although due to the displacement between phases, a rotating field is produced, which in a certain way drags the rotor. A particularly used case is the squirrel cage motor, since it is a very simple motor. In which the deltas and windings of the rotor, are replaced by rods with rings at the ends joining the rods, hence its name. In asynchronous AC motors the windings can be connected in two ways: In star, when one end of the coils is common and the other end is connected to each of the phases. The other is in a triangle, when the ends of the coils are connected to each other and in one phase. The exchange of two phases causes inversion of the direction of rotation. It is the most commonly used engine in the industry, with the star triangle starter system. The synchronous motor is so named because the rotational speed is related to the frequency of the supply current. This characteristic is due to the fact that the rotor is fed with direct current, and is dragged by the rotating field that produces the coils of the stator. Normally this AC motor carries a dynamo coupled on the same motor shaft to feed the rotor. As the speed varies with the frequency and allows to fix the torque with minimum consumption, by being coupled to an oscillator its speed can be varied very easily, and therefore it is used in traction systems (AVE-TGV). The stepper motor is fed with direct current, and the rotor contains a series of permanent magnets, which are dragged by the stator coils, which are governed by a power electronics, determining the angle of rotation, which have control proportional, they are extremely precise in the angle of rotation, or position. These motors are used extensively in the servos of movement of the machines of numerical control, or in the motors of reading / writing of the hard disks of computer. The slow acceleration used in transport Sky Train, Maglev, etc. Fast acceleration DE used in weapons like magnetic cannon and space artifacts. Within the same category and there are the electromagnetic induction pumps that allow to circulate to conductive fluids. The first tests were done with mercury, then with a mixture of sodium and potassium, in view of the circulation of sodium for cooling in some nuclear power plants. In 1821, following the discovery of the phenomenon of electromagnetism by the Danish chemist Hans Christian Ørsted, the English physicist Michael Faraday built two devices to produce what he called an electromagnetic rotation. These devices consist of the continuous circular motion of a magnetic field around a wire. When making the demonstration, the first description was that of the current electric motor, alternating current, it was patented in 1887 by the Serbian physicist Nikola Tesla. In 1822, Peter Barlow created the Barlow wheel. The wheel of Barlow is a widget that consists of a metallic disc cut in star, the extremities of the star are submerged in an air gap that contains mercury. The function of mercury is to ensure the passage of current. The first usable switch was invented in 1832 by William Sturgeon. Later, in 1834, Mr. Thomas Davenport manufactured a DC motor with this invention. The DC motor was patented in 1837. The high cost of the batteries did not allow these electric motors to have an important initial success. It is not clear who is the father of asynchronous machines. This title is disputed by three inventors: Nikola Tesla, Galileo Ferraris and Michail Ossipowitsch. In 1887 the physicist Nikola Tesla presented a patent on the asynchronous machine. The following year he presented 5 more patents of asynchronous electric machine. Meanwhile, Galileo Ferraris published the treatises on rotating machines. In 1885 Ferraris published an experiment and, subsequently, published a theory on the asynchronous motor in April 1888. Finally, in 1889 a German electrician of Russian origin named Michail Ossipowitsch Doliwo-Dobrowolski invented the first three-phase asynchronous motor of squirrel cage . Aquet last electric motor was built industrially from 1891. The classic division is between DC and AC motors. They can also be classified by asynchronous motors, synchronous motors or DC motors. Advantages of electric motors versus thermal motors. The conversion of electrical energy into mechanical energy by means of electro-magnetism was demonstrated by the British scientist Michael Faraday. The first commutative DC motor was invented in 1832 by William Sturgeon. Electricity encompasses a set of phenomena related to electric charges. This term is also used to designate the branch of physics that studies electrical phenomena and their applications.